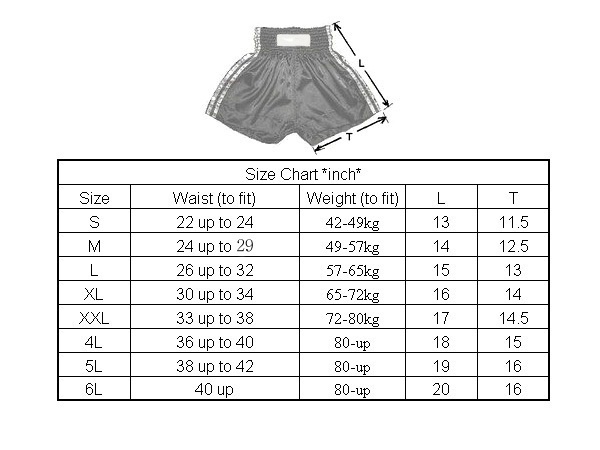 You are looking on Top quality Muay Thai boxing shorts. shorts legs is therefore far wider than the international boxing trunks. - Tips: If you find the shorts too long, you can choose the next size down.